Six years ago I wrote a column about the appearance of herbicide resistant weeds and one of the "horror" stories I mentioned was about cotton producers in Georgia. At that time, cotton producers and University researchers in a five county region of Georgia were struggling to figure out how to profitably grow cotton in fields that were infested with a new herbicide resistant weed, glyphosate resistant Palmer amaranth. 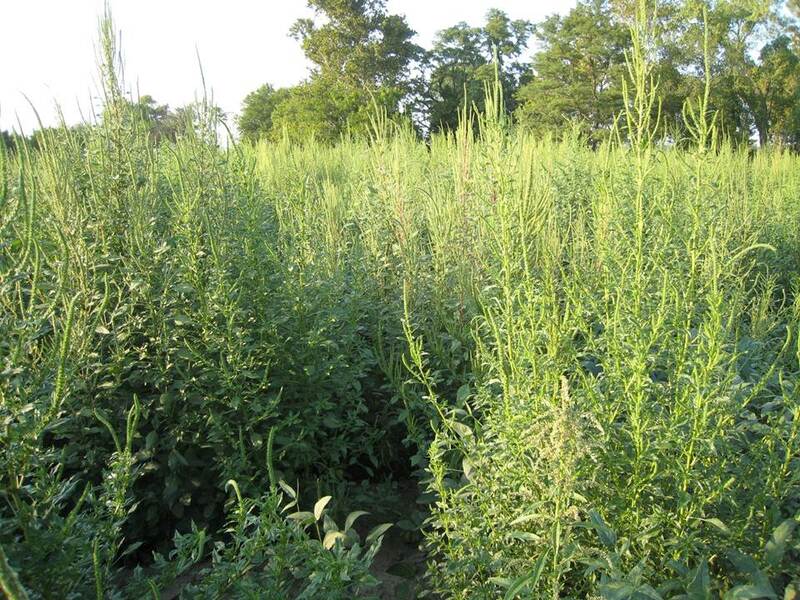 Now Palmer amaranth is being found with rapidly increasing frequency in Illinois. Most Illinois farmers are familiar with tall waterhemp. Both weeds belong to the amaranth weed family. Both waterhemp and Palmer have separate male and female plants, this factor along with the potential for over 500,000 seeds per female plant can create a tremendous amount of genetic diversity. This genetic diversity greatly increases the opportunity for the development of herbicide resistance. Additionally, if 25% of those seeds germinate the following year and a herbicide is applied that is almost perfect and gets 99% success that would still leave 1,250 seedlings. Palmer amaranth's traditional geographic home is the desert southwest, which allows it to really thrive in our much milder Illinois climate. Even as our crops were wilting in last summer's drought Palmer amaranth was doing fine. Dr. Aaron Hager, University of Illinois Extension Weed Specialist shared information this winter indicating Palmer amaranth reaches its optimum photosynthetic rate at 107 degrees Fahrenheit. In addition to its high photosynthetic capacity, its leaves have the ability to track the sun for maximum light absorption and it manages internal water very efficiently to minimize losses during dry weather. The rapid growth rate of Palmer amaranth shrinks the control window for successful use of postemergence herbicides. Previous research on this weed has determined it can easily grow over 3.5 inches per day under normal June-July conditions. Weeds that are 3 inches high today and within the herbicides labeled rang could be over 7 inches tomorrow and outside the "control" range of the herbicide. Palmer amaranth looks a great deal like waterhemp but there are a few key differences that aid in distinguishing them apart. On Palmer amaranth the petiole, the stem-like structure that connects the leaf to the actual stem, is longer than the actual leaf. This is not the case with waterhemp. Each seed head on Palmer will probably be over a foot long. Waterhemp seed heads will be several inches but not feet long. The Palmer amaranth seed heads will be full of spiny bracts, not found in waterhemp. Many farmers rely heavily on postemergence herbicides for most of their weed control. The increase in the number of herbicide resistant weeds and the abundance of very aggressive weeds like Palmer amaranth will require renewed focus on preplant and preemergent weed control.